Our years of experience have given us the expertise to become the leader in epoxy flooring in Chicago. Our team of epoxy flooring contractors allows us to take on projects that others might shy away from. 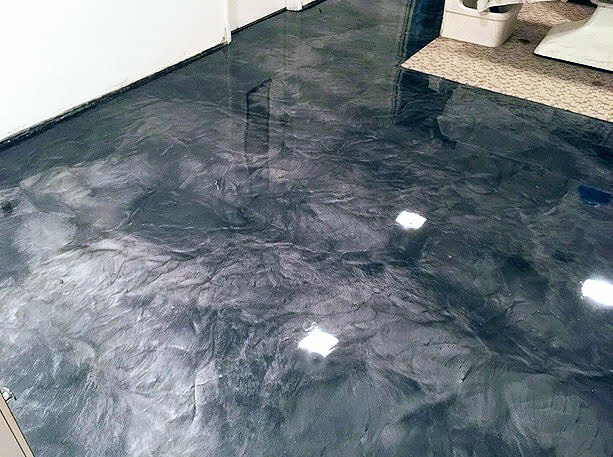 As we are adaptable to any situation, we can service residential polished concrete floors, commercial decorative concrete flooring, and large industrial epoxy flooring in Chicago. Because we only work with the best contractors in the business, we complete our projects with the highest possible standards to make sure you have the floors you expect. Our expert epoxy flooring contractors will make certain your project is completed on time and on budget. We work in collaboration with you to keep the project on schedule and limit any disruptions. 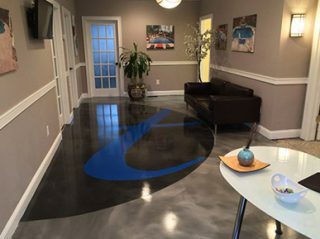 We are ready to talk about your epoxy flooring and polished concrete floors. 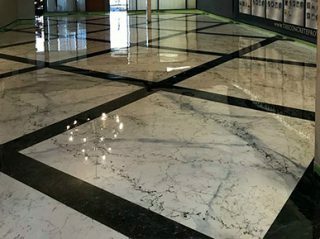 Contact us to speak in depth with one of our epoxy flooring specialists, who can discuss how best to handle your flooring needs. We are the leader for concrete floor management and Epoxy Flooring in Chicago. The flooring in your industrial space should be able to withstand the heavy traffic, severe vibrations, and hard impacts to ensure stability and longevity. Call us today for the ultimate in industrial epoxy flooring in Chicago and make your floors last. We are the leaders in commercial epoxy flooring in Chicago. 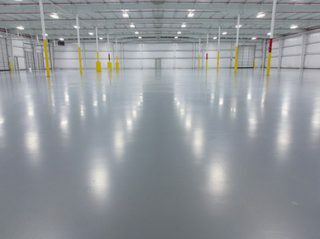 Our epoxy flooring systems will not only make your floors shine, but they will also be durable and able to withstand heavy loads and endless foot traffic. They are easy to clean and they are long-lasting. Polished concrete floors are not just for industrial use anymore. 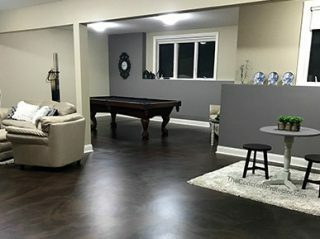 We offer the highest standard of residential polished concrete floors in Chicago, to give your home a finish that will last a long time, is easy to clean, and is cost-effective. For a floor that will not only look great, but will also be strong, durable, and carry low maintenance, try our commercial polished concrete floors. We will guide you through the process and provide your commercial space with the best floors in Chicago. Make sure your floors are flat, even, and safe for your traffic. 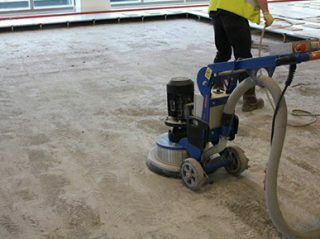 Whether it’s heavy foot traffic, or heavy machinery, our floor grinding process will ensure you get the floor you need with a polished finish, right down to the edges. Take advantage of our extensive experience with decorative concrete floors. There are almost unlimited options to adding a decorative appeal to your concrete floors, taking your entire space to another level. Your floors will be strong, enduring, and beautiful. We have spent years working our craft and gaining valuable experience to handle even the most difficult of floors. We are experts in concrete flooring, providing you with superior quality workmanship every time. Whether you have an industrial warehouse with uneven floors or a small kitchen that requires a flooring upgrade, we can help. 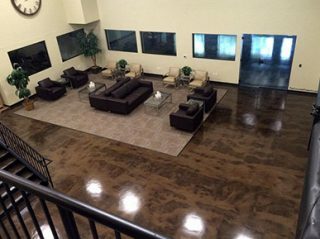 We know floors and we are able to adapt to any space or job size, to give you the concrete floors you’re looking for. We are meticulous about each floor we work on and know that you are waiting to set foot on it. That’s why we strive to meet our goals for a quick turnaround without rushing. The new floors in the showroom of our car dealership look great. This epoxy flooring company was a pleasure to work with and they were very efficient to get the job done on time. The floor had seen better days in our old warehouse so we invited this concrete flooring company to come in and level it out to make it safe. They did a marvelous job and delivered as promised. This decorative concrete flooring company turned my drab kitchen into the high-end focal point of my home. The new floor is stunning. I can’t believe the amazing work they did. Not sure if we serve your area? You can always call us!